Performed by Amanda Deboer Bartlett and Shanna Gutiérrez at Constellation (Chicago, USA) on April 14, 2014 as part of ANODE 2014. 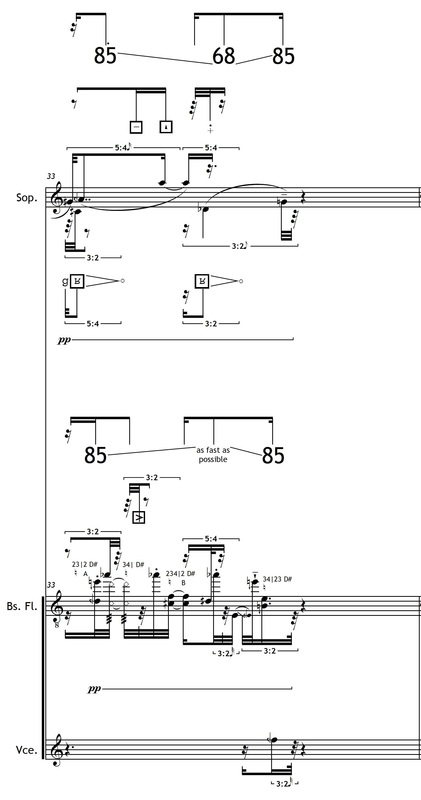 Premiered by Amanda Deboer Bartlett and Shanna Gutiérrez at Tulane University (New Orleans, LA) on April 11, 2014 as part of ANODE 2014. For the Sake and the Spite of Continuity may be performed independently or along with For the Sake of Opacity (A Catalyst for Honesty) to form Postscript.